This is a residential project designed for the owner and their beloved dog, for the dog’s needs on medical care and good living. 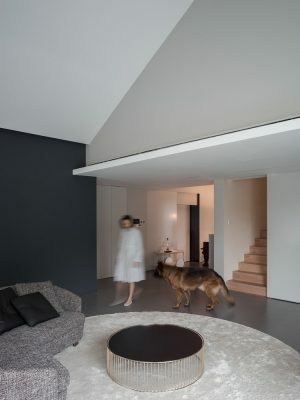 We call it the Dog House. 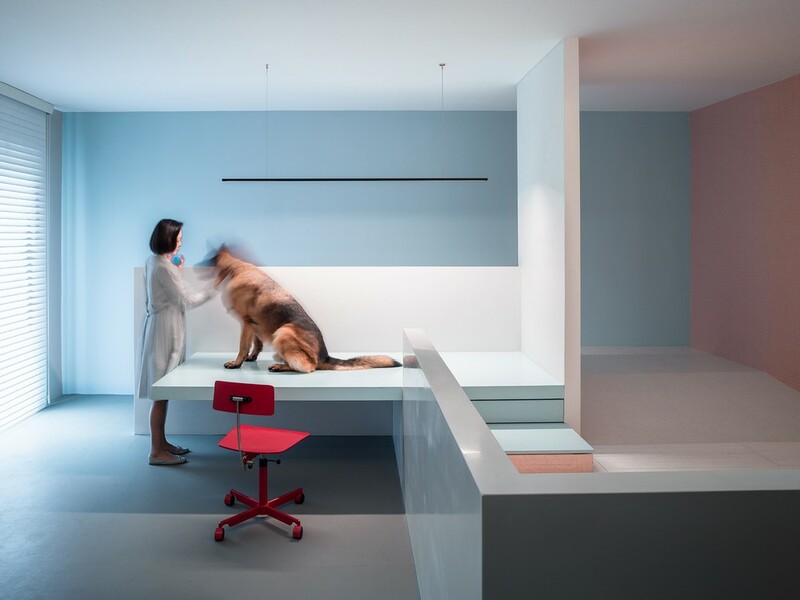 Due to chromosomal differences, dogs are less capable to identify colors than humans. 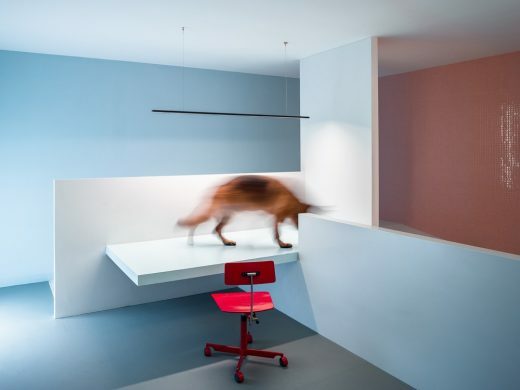 The owner of Dog House hopes to create a colorful world inside the house in which his dog can touch and perceive. 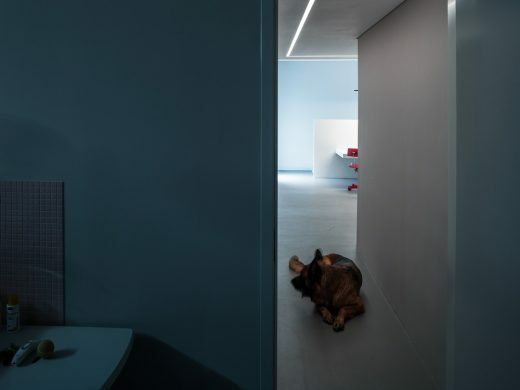 According to authoritative researches from recent years, dogs can recognize yellow, blue and transitional color segments inbetween in the color spectrum. 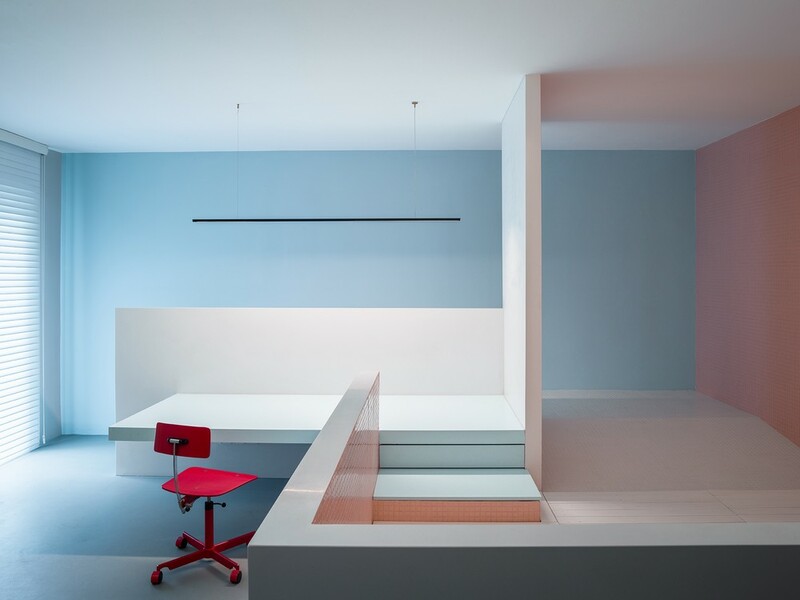 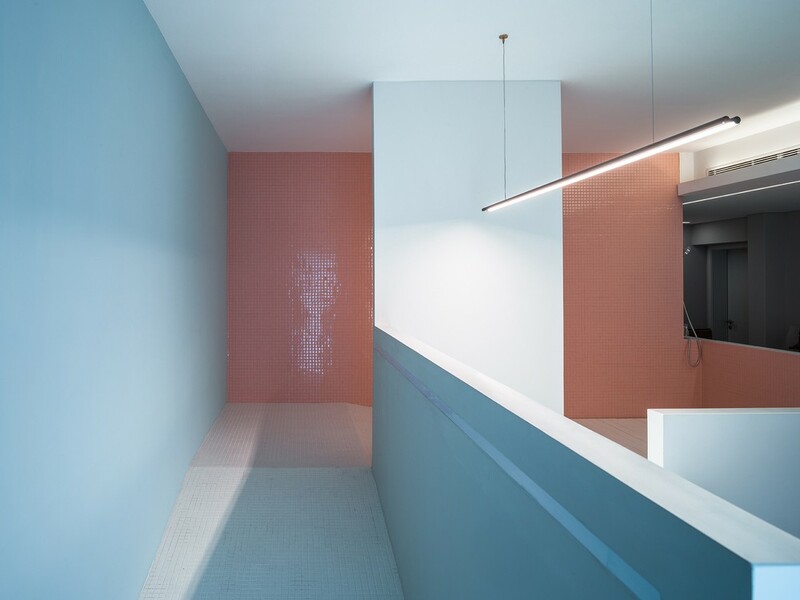 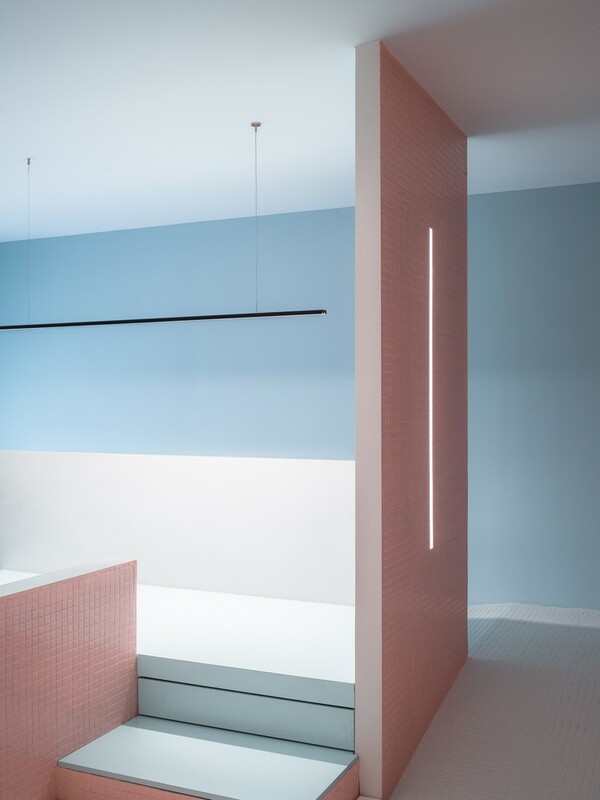 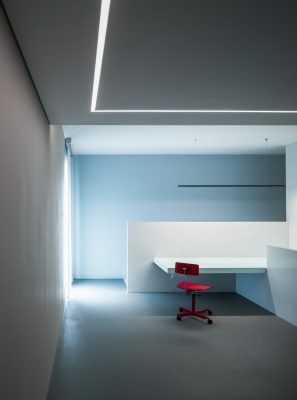 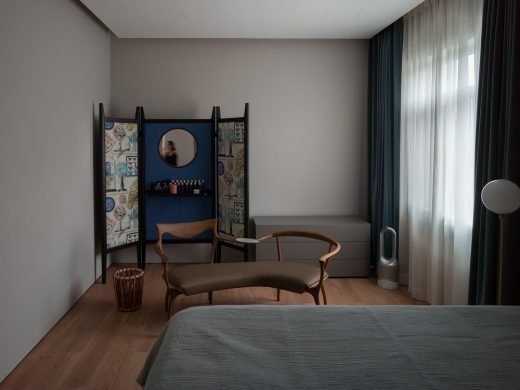 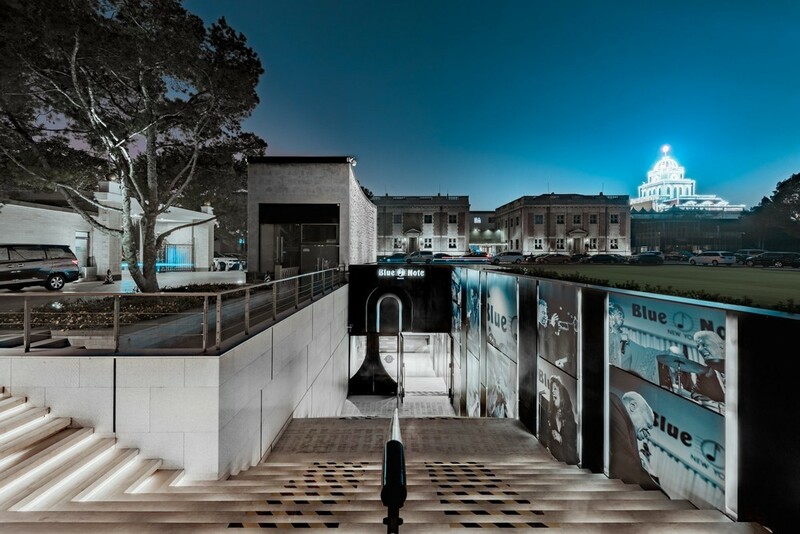 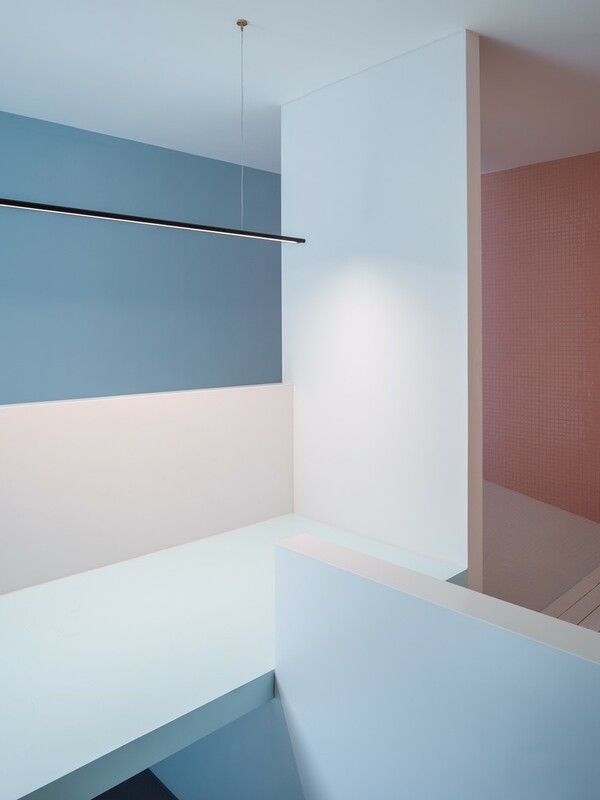 Therefore, the architect tried to enclose a space by structuring colors in this project, together with the direct and indirect rendering of lights, to guide and effect and mood of spaces. In Dog House, the first floor includes the kitchen, the dining room and the living room, the underground floor is the dog’s bathroom and activity space, the second floor is composed of the main bedroom and entertaining area. 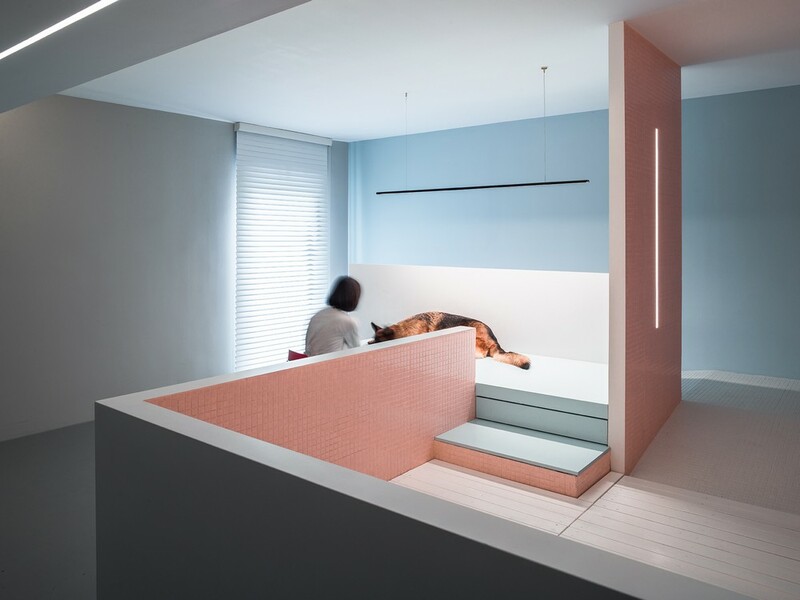 Spaces for the owner alone are basically grey, dark grey, light grey and white; while functional spaces for the dog are more colorful. Two sets of colors inside the house: calm colors including lake blue, dark gray, navy blue and light gray are playing with vibrant colors, such us roseate, goose yellow and sky blue. 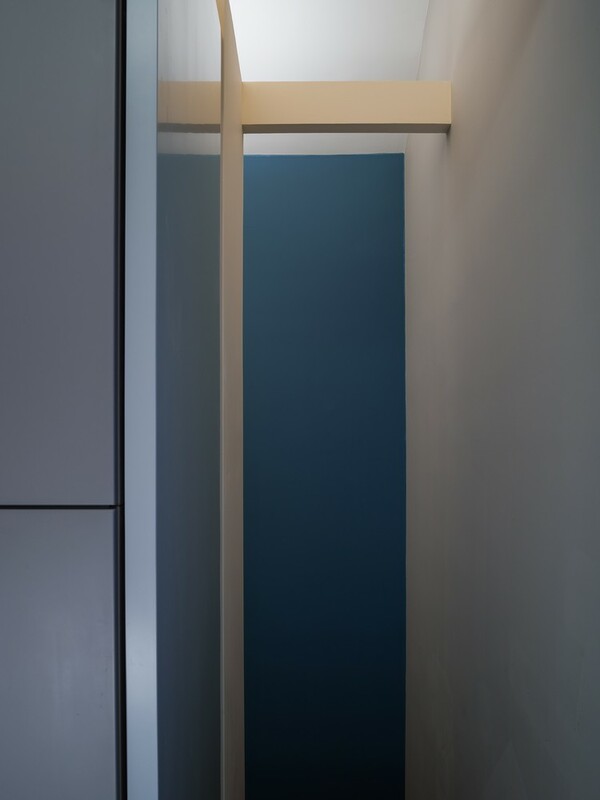 These colors contrast and complement between each other to narrate the depth, distance and motions of the spaces. 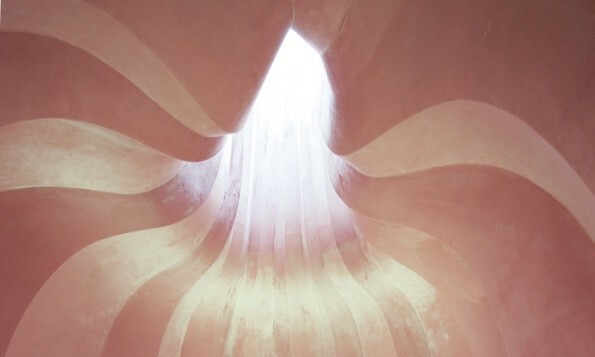 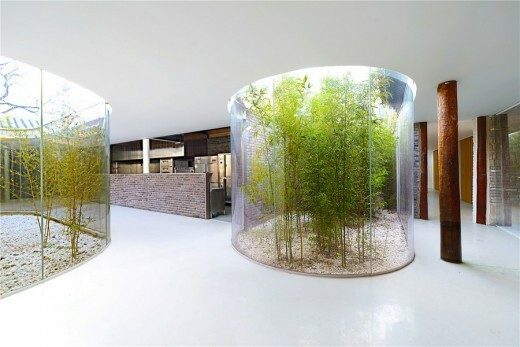 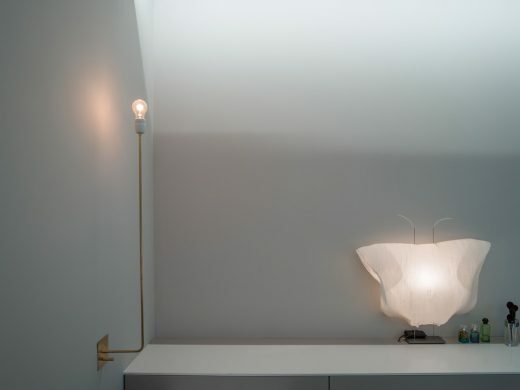 Lights are indirectly presented through diffusion and semi-self-illuminating materials. 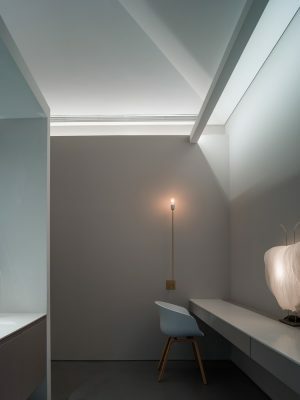 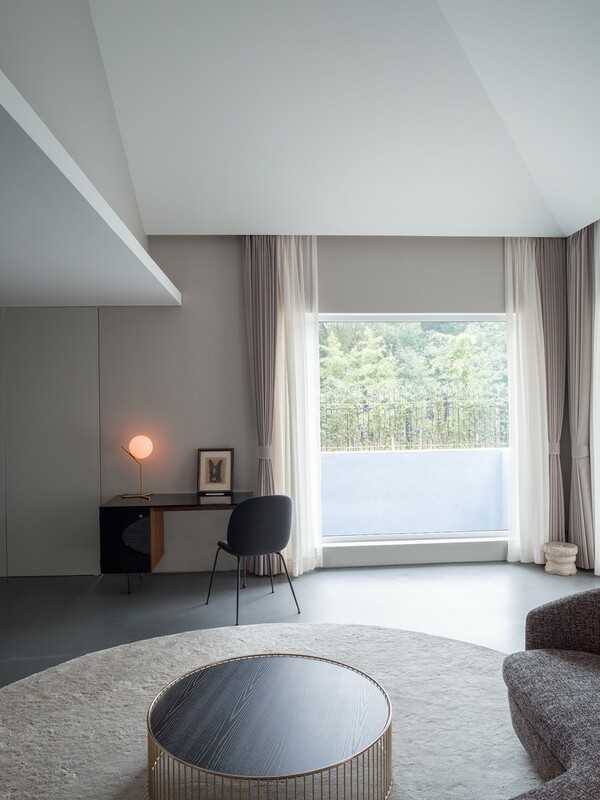 After the white ceilings are evenly lit, the geometrical surfaces of the sloping roof are seting off each other and creating an subtle reflection of light, which has weakened the sense of existence of the ceiling and the floor. 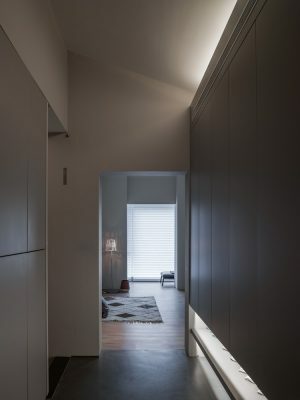 The layers of lights also have gently enriched the spaces. The Dog House has two dog-only bathrooms. The core area is a barrier-free shower space for the dog with two-way ramps and separated wet area. 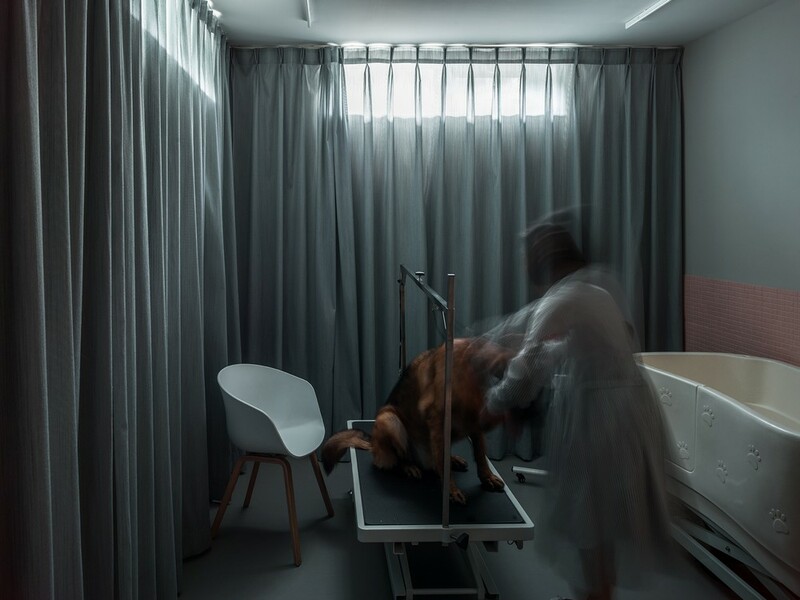 At the other end of the shower, there is a operation floor for routine physical exams and medical care of the dog. The heights of the shower space and operation floor are determined after long-term observation on the living habits of the owner and the dog. 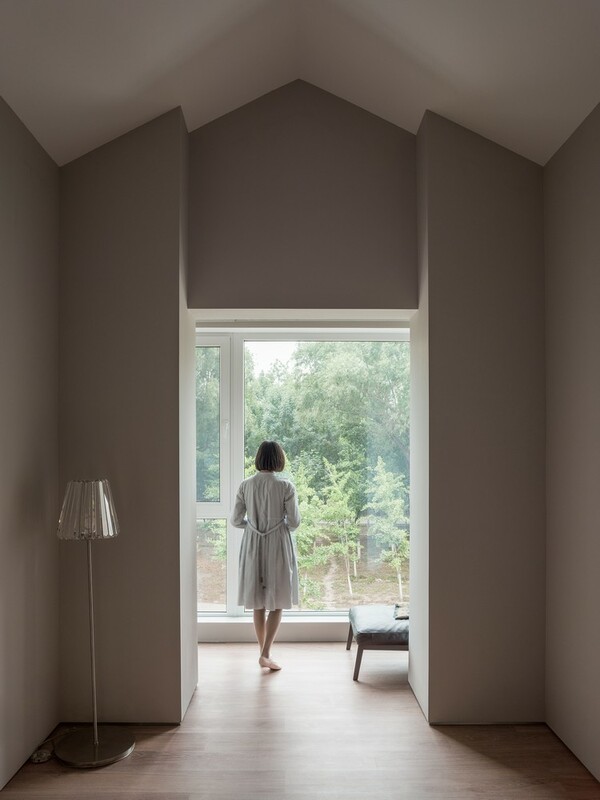 The small bathroom next to the shower room used a lot of noise-reducing fabrics that are newly deveopled by Danish textile brand Kvadrat, which is to reduce the harmness to the ears caused by the dog barking during the bathing. The owner’s dog is extremely sensitive to the touch of materials due to congenital disease on its joint. 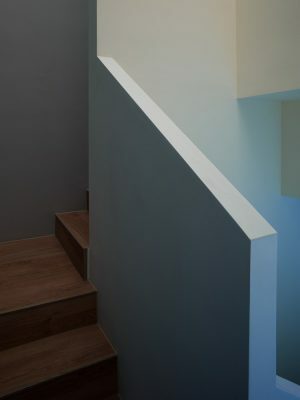 Therefore, special materials are used in the design to reduce the damage to its hip joint caused by the friction with materials, for example, soft flooring and medical-grade waterproof coating are applied on the stairs and ramps in both exterior and interior spaces that are relevant to the dog. It is a very unique commission to us, since all the requests from the owner, including the space, materials, even furniture and decoration, are almost completely centered on the dog’s habits and needs. 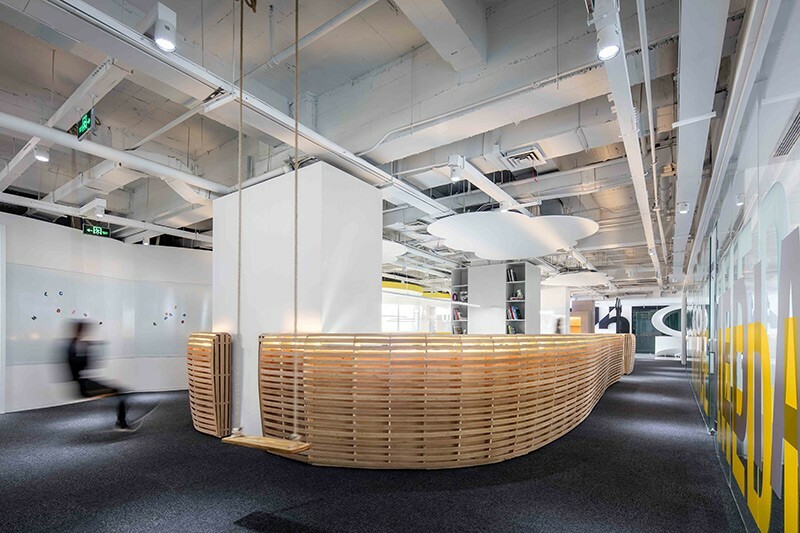 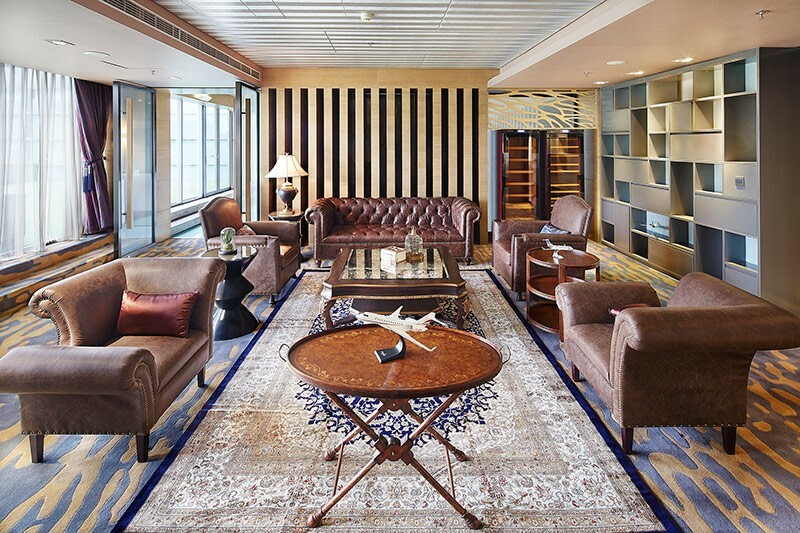 The specific requirements on functional details, the re-understanding and re-conceptualize of design from the perspective of dogs have greatly inspired us to reflect on and to design the space, which eventually leads to a satisfactory result. 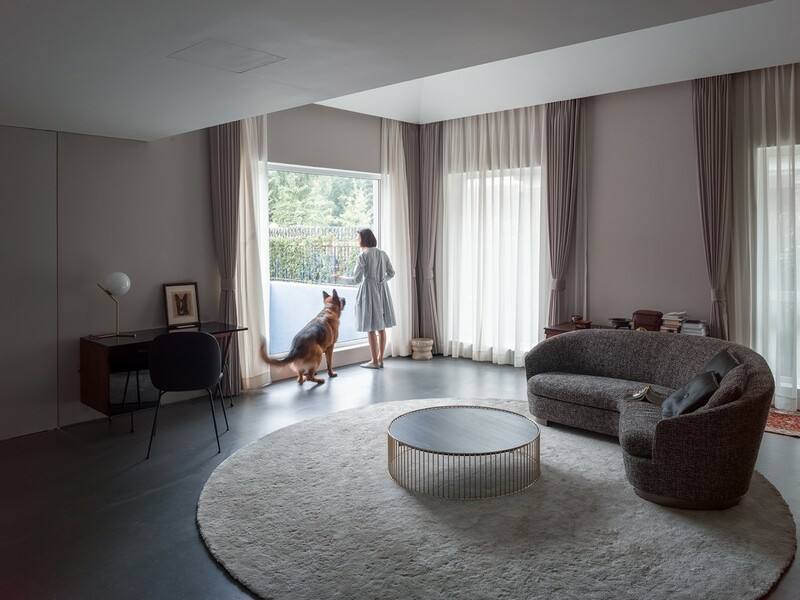 Whenever we see the owner and their beloved dog living and playing together inside the house, we are always touched by the love between them. 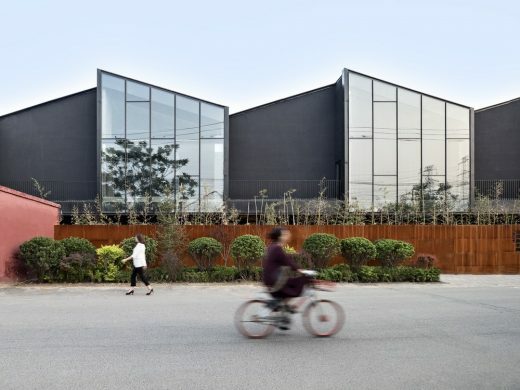 The love is expressed beyond the presentation of architecture and design skills, which is probably the ultimate meaning of the entire project.